Among the many applications of stainless steels, “Forming” is the most prevalent usage of stainless steel wires: stainless steel wires are ideal for forming, bending or shaping into a very large array of manufactured stainless steel products. After forming, stainless steel wires are found in bent, woven, braided, meshed, stranded, shaped stainless steel products typical of the many usages of stainless steels. 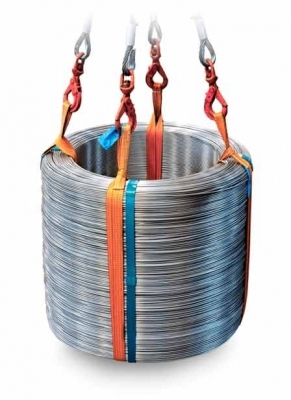 Stainless steel wire grades for forming cover a wide range from Ferritic stainless steels type 430, low-cost Austenitic stainless grades type 204Cu to the main Austenitic stainless grades: 18Cr/8Ni grades type 304 and Cr-Ni-Mo grades type 316 for improved Corrosion resistance. 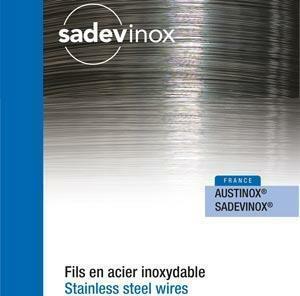 SADEVINOX, as a leading supplier of stainless steel wire in Europe, carries a large & very diversified ( grades, sizes ) stock of stainless steel wires including electro-polish quality finish (referred to as EPQ). Pharmaceutical industries : trays, mixers, heat treatment equipment, bottling, ..